Happy Mother’s Day, Mom! I’m really lucky that I have you for a mother. Brian and I both agree that there isn’t one better! That being said, why didn’t you ever tell me that Mother’s Days are like having another birthday in the same year? I mean I know you get gifts and what have you, but I felt special the entire day. Like I had joined some new exclusive club and was receiving privileges that I never even knew were available before. I had told Hottie that I wanted homemade Mother’s Day cards from Little Man every year. I only mentioned once and in passing, so I didn’t expect him to come through for me. But, man, did he come through for me. 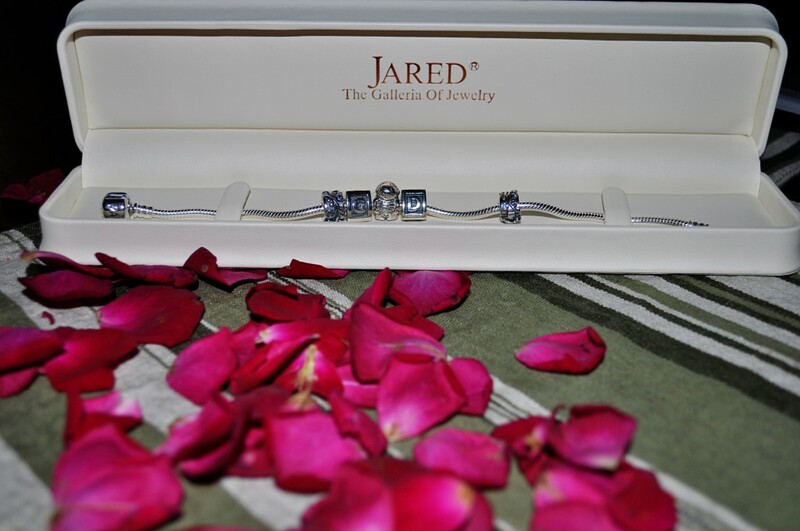 Spoiled me rotten, he did. Ruined me for all other men. Well, he did that years ago, but let’s not tell him that. He’ll get a big head. Little Man and I were coming back from visiting my grandmother for Mother’s Day, and Hottie got to the house right before we did. He had to work that morning. Coming into the house, I saw a rose petal on the floor in the entry way, and my first thought – for God’s sake, I just cleaned and there’s already trash on the floor? – wasn’t very flattering. 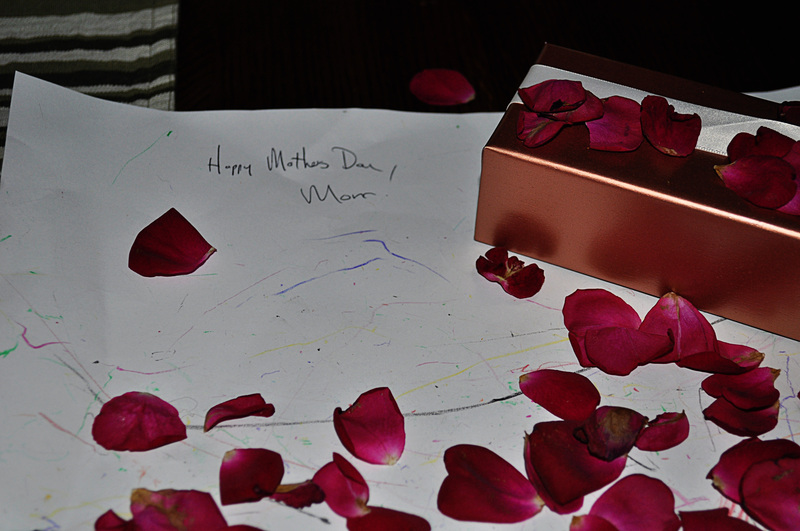 A homemade card, a jewelry box, and scattered rose petals. He went to…oh, wait, you already know. Inside the jewelry box, was a bracelet. A Pandora bracelet. There were charms with the initials of Little Man’s name, along with a chubby little boy representing Little Man. 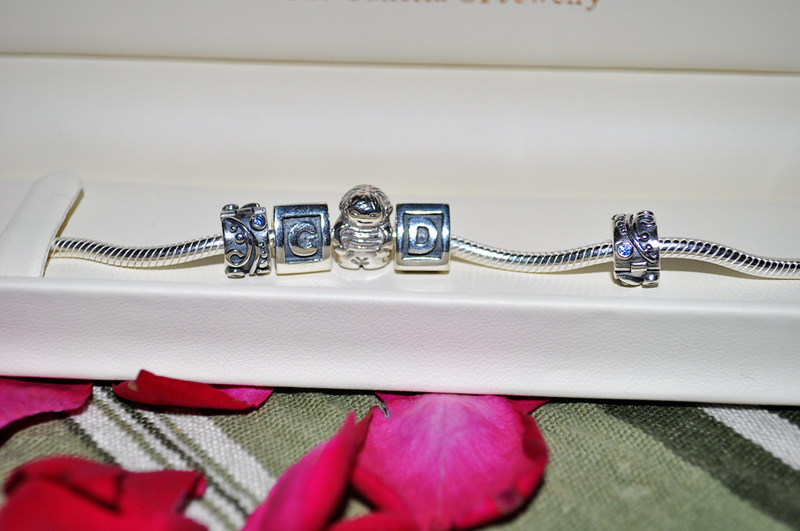 Separators kept the charms from sliding all over the bracelet and had little blue stones in them for a little boy. The idea is to collect mementos for significant events. 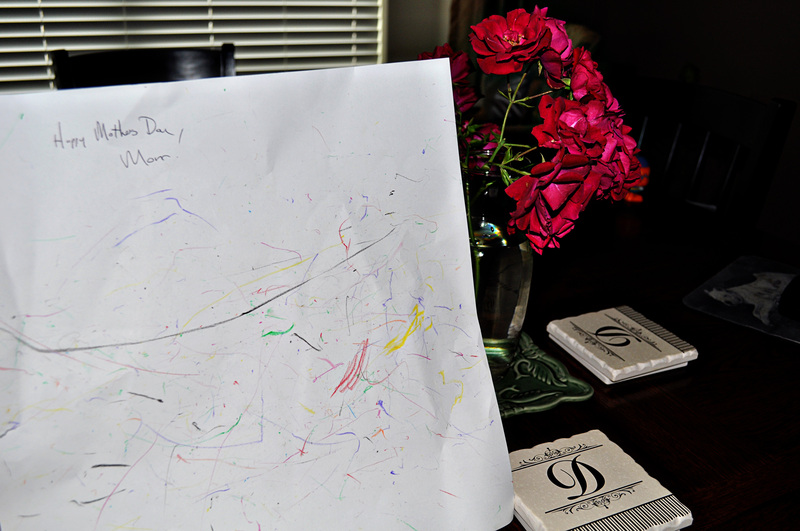 And then there was the excited crayola scribbles of a little eleven month old boy who couldn’t wait to show his mom his appreciation on their first Mother’s Day. Don’t you just love it? Super precious…your men did a great job! I really felt pretty special too! Gotta love it! What a wonderful day you had! Being a mother and having that special day isn’t something you can fully describe to your own daughter….you just have to experience it. I am so proud of you! You are such a wonderful, loving and patient mother and Cole is so precious and unique because of it. Keep all these wonderful memories of his babyhood close to your heart because he will be grown before you know it.